Hyundai revealed that it received more than 25,000 bookings in 13 days That’s a huge number and the Hyundai India’s bossman – Y. K. Koo said that it would take 3 months to deliver the cars booked during the period. 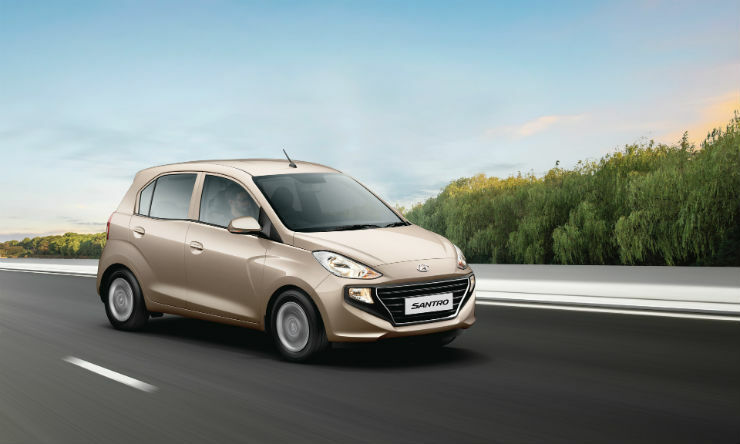 Hyundai launched the much-awaited Santro in the Indian market yesterday. The long-awaited hatchback made a comeback in an all-new avatar. Hyundai opened the bookings for the customers on 9th October. The online bookings were set at Rs. 11,000 and the deliveries began yesterday. Hyundai launched the Santro priced at Rs. 3.89, which is priced lower than the Maruti Suzuki WagonR and the Celerio. However, the base variant of the Santro is pretty basic and comes without an air conditioner. Hyundai has announced that the first 50,000 customers would get the hatchback at a special introductory price after which it will be revised. The top-end of the Santro is priced at Rs. 5.35 lakhs. The all-new Santro looks nothing like the older model. It gets a wide front grille with black cladding in the background. The body of the Santro gets deep creases, which makes it look chiselled. The Hyundai Santro is based on the platform of the now-discontinued Hyundai i10. The 1.1-litre four-cylinder engine also comes from the Hyundai i10 but it has been re-tuned and worked upon to make it cleaner and perform better. It produces a maximum power of 69 PS and 99 Nm of peak torque. It is offered with a 5-speed manual and for the first time, Hyundai is also offering a 5-speed AMT automatic transmission. The Santro would return a maximum fuel efficiency of 20.3 km/l, which is lower than the Tata Tiago and the Maruti Suzuki WagonR. 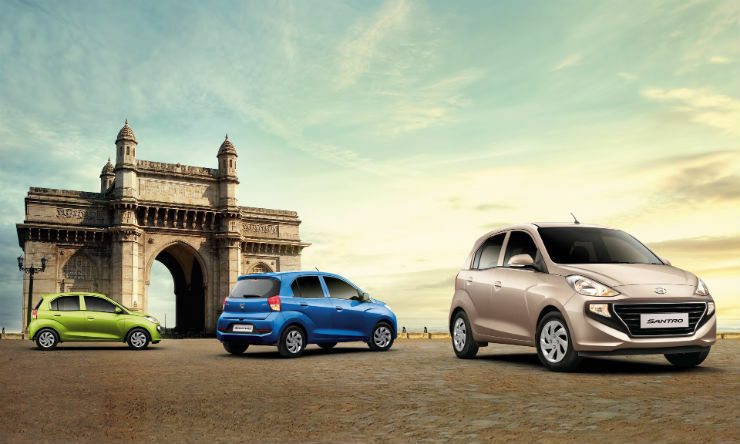 The Santro offers a range of first-in-segment features. There are rear AC vents and a 7-inch touchscreen system with Android Auto and Apple Carplay. The customers would get a choice of 7 colours while a special Diana Green version of the vehicle is also on offer. The special green colour scheme can be seen in the cabin too. The top-trim of the Santro would offer twin airbags, ABS+EBD, reverse parking sensors and reverse camera. Driver-side airbag and ABS+EBD is standard across all the variants.